This clean, used K1300S is only ten years old (young?). We think you’ll agree that it makes for a very economical entry to the world of large-displacement BMW sport/sport touring bikes. 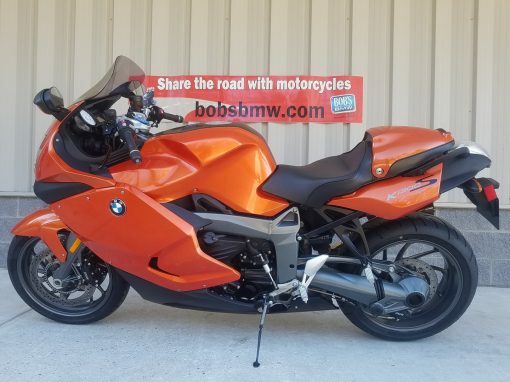 What a great opportunity for a smart individual to grab a sweet, nicely equipped machine — IF you’re able to act fast enough — because typically, bikes like this don’t hang around Bob’s too long. 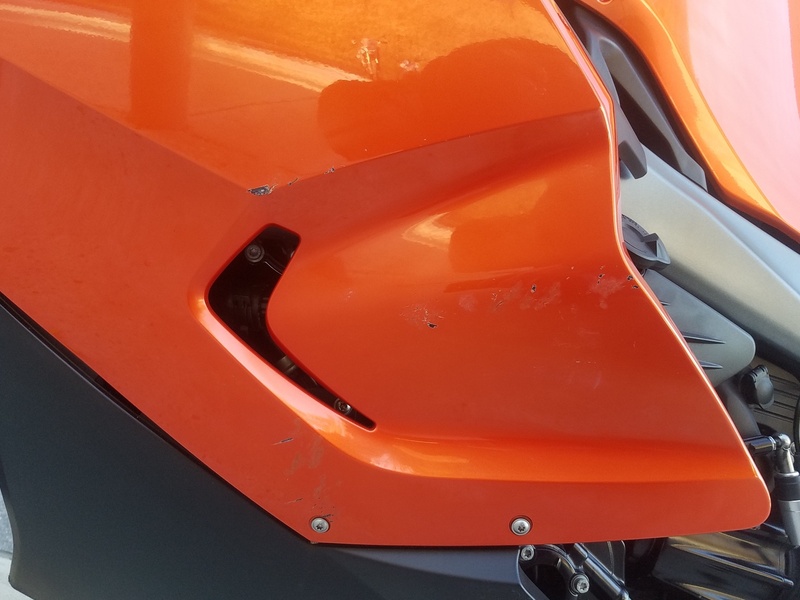 This machine has had only one owner, is completely serviced, wears recently installed fresh tires, is Maryland inspected, and fully road-ready. 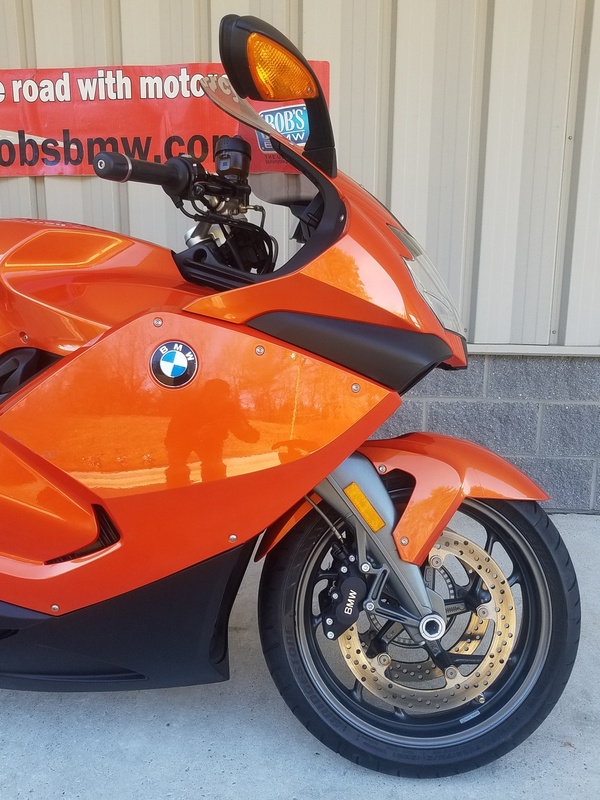 Even with its few minor cosmetic flaws, a better looking BMW K1300S would be difficult to find — especially in this price range! 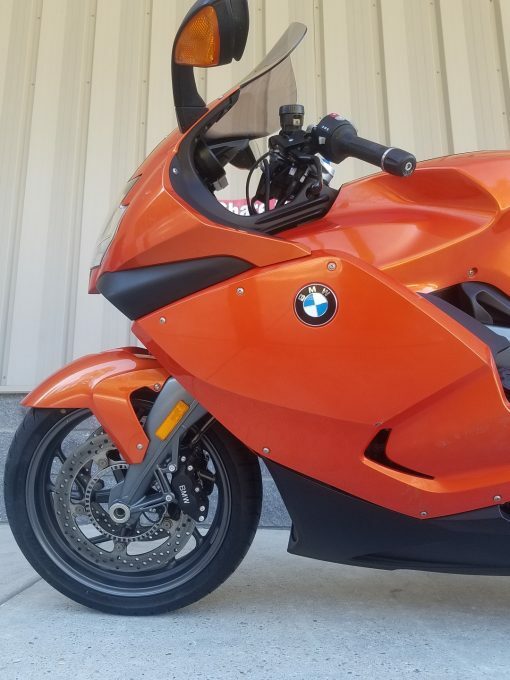 BMW rarely skimps when it comes to loading features onto their top of the line sports-touring bikes and this K1300S is no exception. 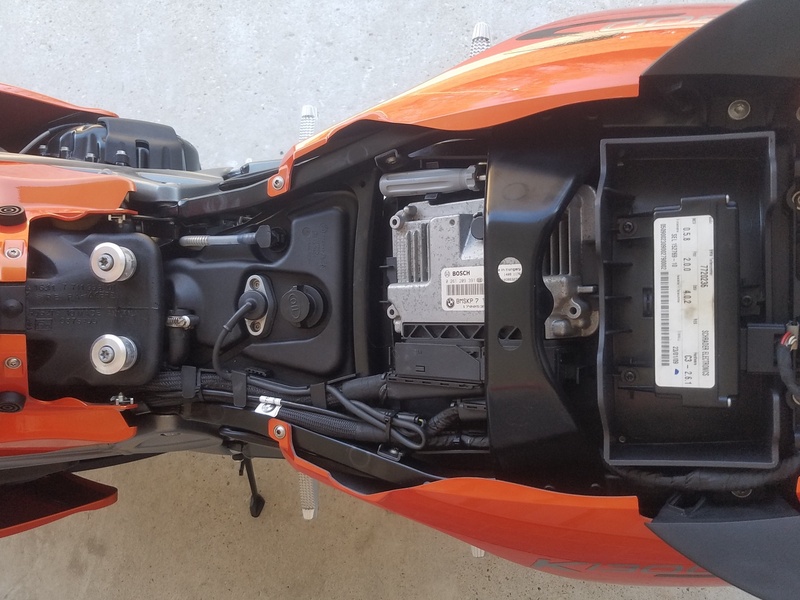 In the way of standard equipment and extras, this one was built with quite a fine selection: On Board Computer, Gear Shift Assist, Heated Grips, ESA, TPM, ASC, and ABS. 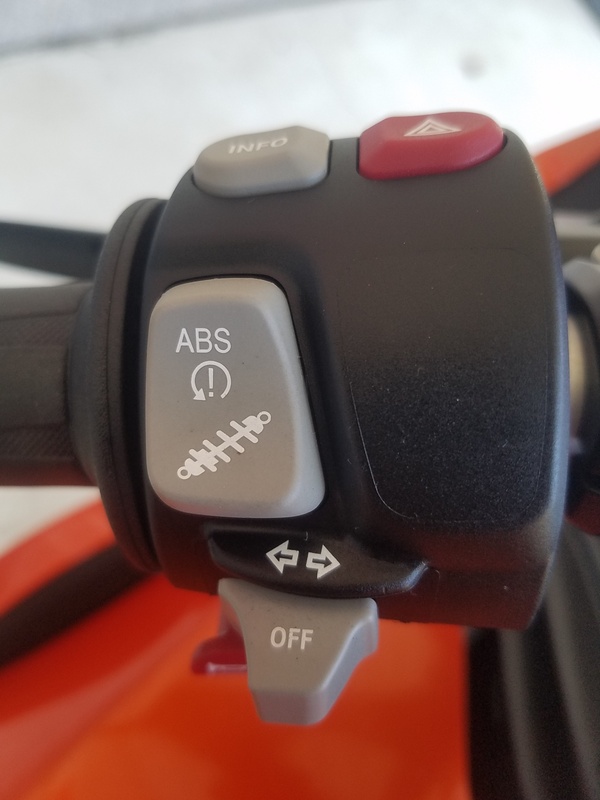 If the acronyms don’t immediately ring a bell with you, please pick up the phone or email one of our friendly and knowledgeable sales team experts for full details. This beauty also features the Duo-Lever and Para-Lever suspension technology, front and rear respectively, that BMW brought to the industry and for which they are justifiably famous. Additionally, there are several other fine upgrades that were chosen by its previous and only owner: a gorgeous and wonderful sounding carbon fiber Laser exhaust, a dark tinted and slightly taller MRA windscreen, and a very sweet, color matched Sargent convertible solo seat with rear storage compartment, a set of Throttlemeister bar ends with the right side being a stealthy cruise control, and a set of moderately higher handlebar risers to make you just a little more comfortable on those longer rides. 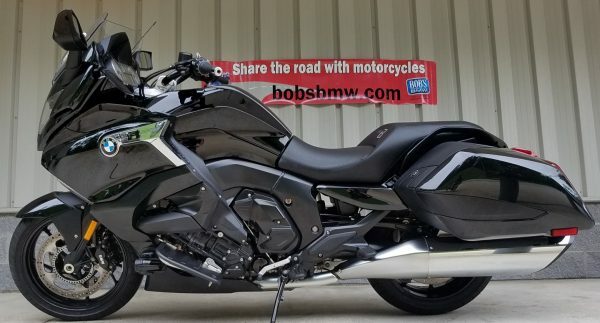 If anything is missing in this otherwise completely well-equipped bike, perhaps it’s saddlebags. 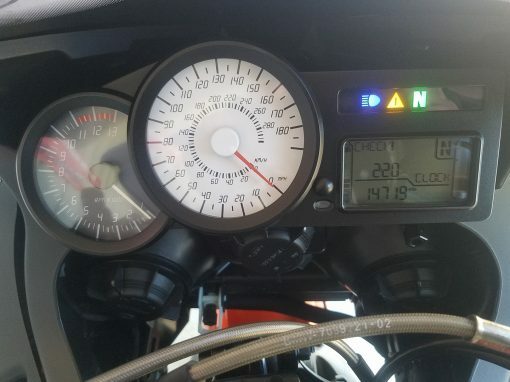 The first owner never logged a lot of miles and so must have felt he didn’t need them. But bags, along with a host of other affordable options available at Bob’s, await your imaginative treatment. 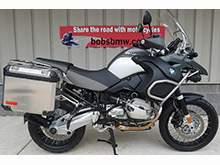 Bob suggests that a new owner acquire one of the exclusive Bob’s enhanced side stands which offers greater footing, especially on uneven or soft surfaces – cheap insurance against the high cost of replacing bodywork because of a tip-over. 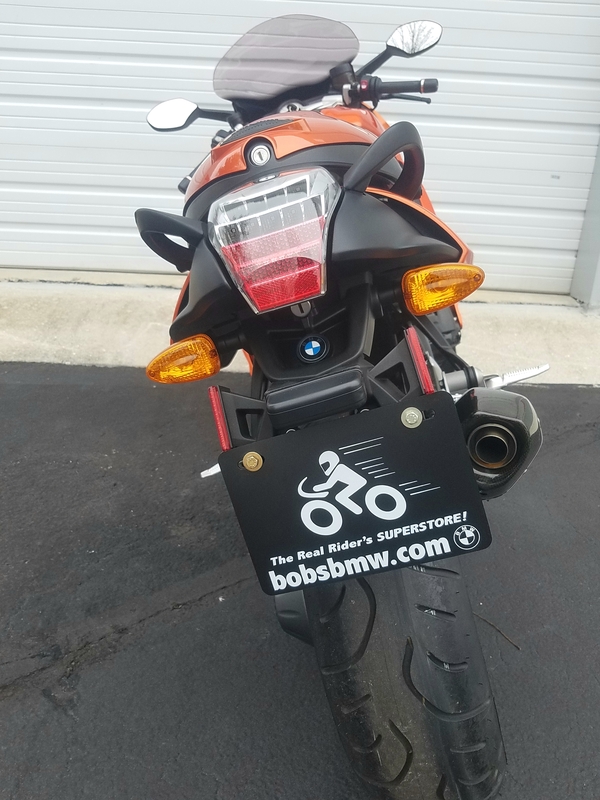 (Bob has this upgrade on his own “S” bike and he knows it works!) Need other ideas? Just ask our experts! All services are fully up to date. We just did an end-to-end bi-annual service, installed a fresh tail light assembly as the old one had a weather leak, and we replaced a few odd pieces of hardware and some rubber bits to freshen it up further. 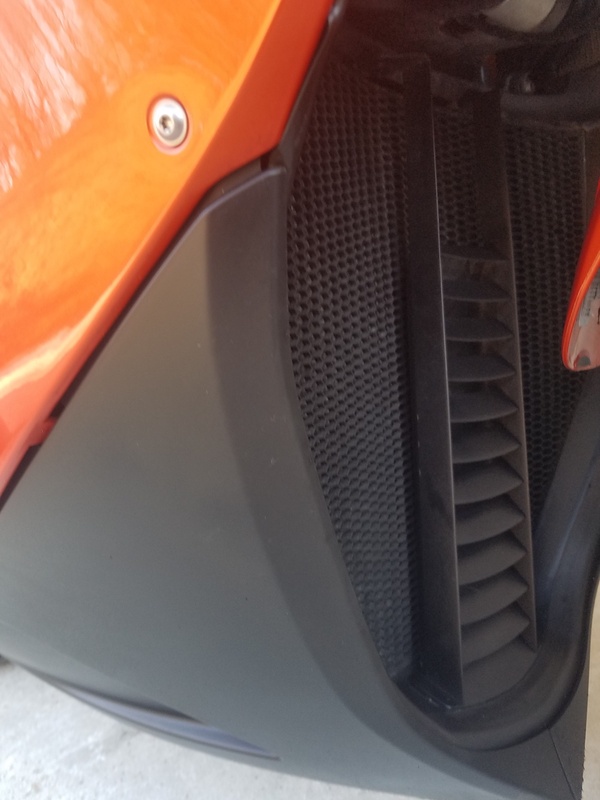 There is an almost new set of Bridgestone tires from late 2018 that solidly have 85% of safe sticky tread remaining. The battery is strong. The only other mechanical item of note is that the front wheel has a small pot hole flat spot on one side which has been reduced down to being almost un-noticeable but as a full disclosure dealership, we wanted to let you know it’s there. It rides true and smooth, and we freshly balanced it out perfectly with the tire previously described. This machine was initially sold well outside of our area. 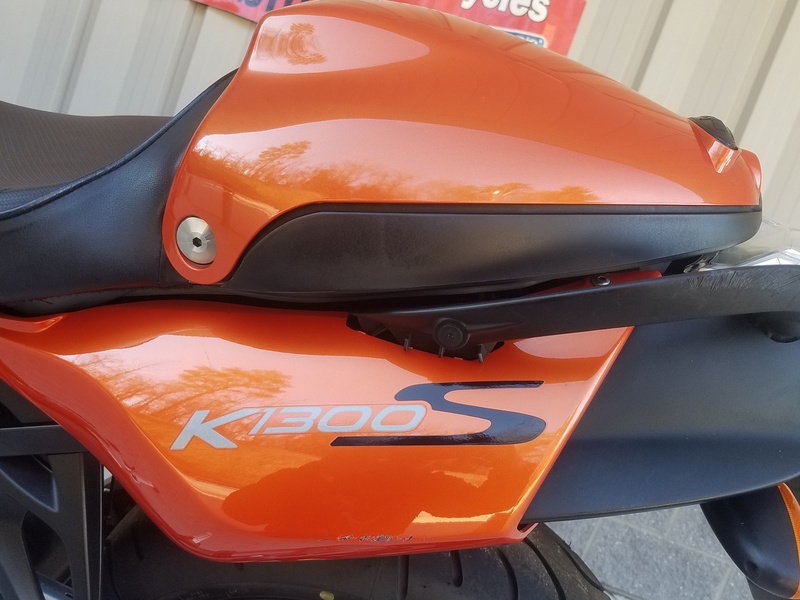 The previous owner’s local dealer performed all the earlier maintenance on schedule so it’s always been well cared for. Bob’s just completed the only open factory recall and the bike now boasts two new left and right control switches. This K1300S rides even better than it looks. 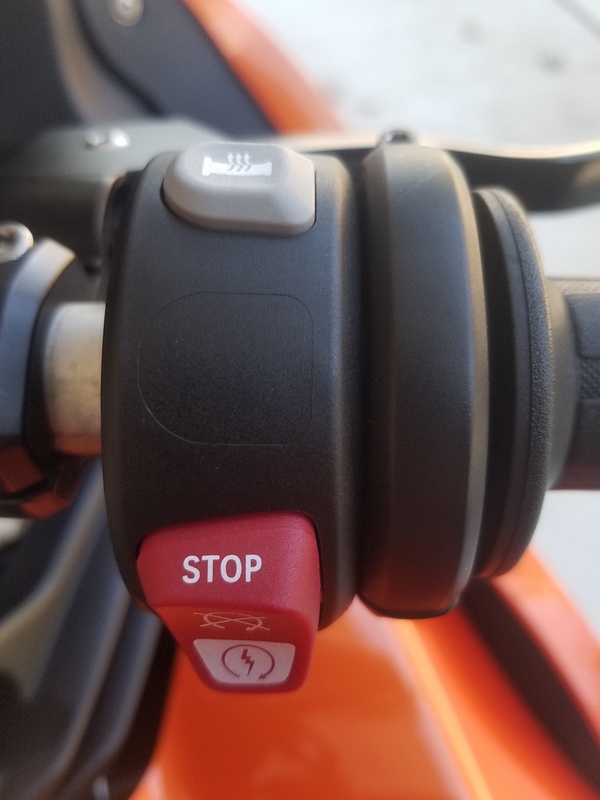 It starts, idles, shifts, handles, stops, and does everything perfectly. 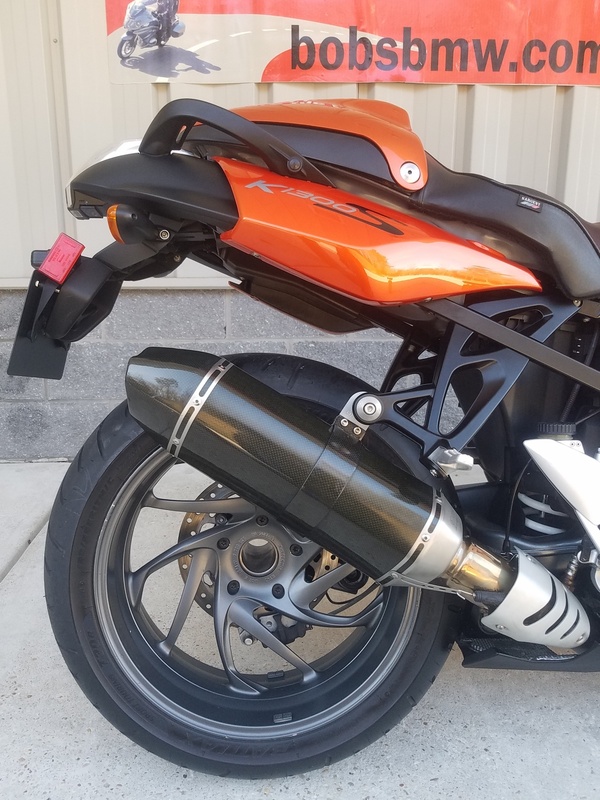 Cosmetically this one arrived as a very nice bike with an average score over 7.0 on our critical 10 scale. 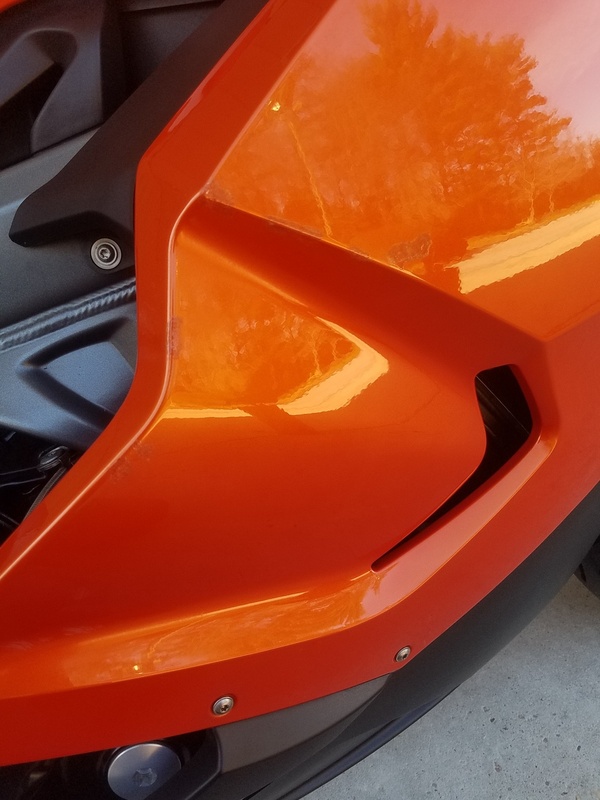 And after the professional detailing we gave it we feel it’s a rock solid 8.5 or higher out of 10. 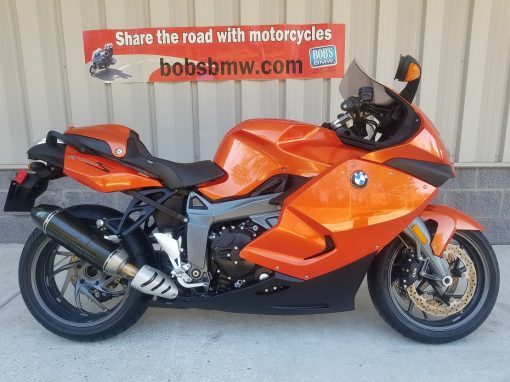 The small blemishes, nicks or tiny scratches that we would be happy to point out like some old tire machine marks on the rear wheel and a few edge nicks will not take away your greater overall appreciation for this bike. 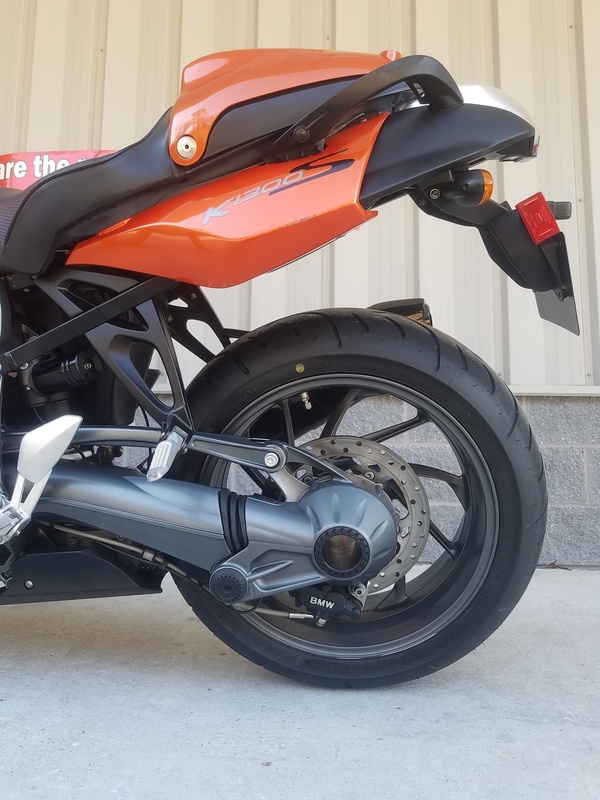 All the black driveline components, the magnesium gray frame and forks and stunning bodywork presents well and, again, is offered up at a very attractive price point – one that is not often available on these superb motorcycles. 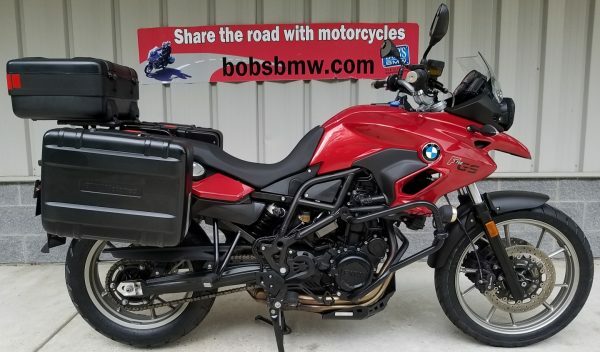 It comes complete with the 2 permanent BMW keys plus a factory plastic spare, the original owner’s manual, and the compact original tool kit that fits under the seat. 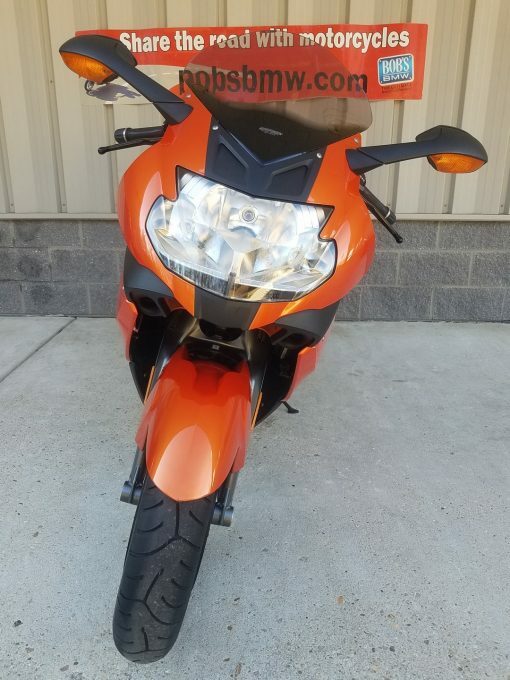 This bike is exactly what you’ve been looking for! • MD Inspected. Ready for the Road!